Here is another review from the brand Aroma Essentials. Coffee is a part of morning and evening routine for most of us. A cup of coffee can awaken us and relieve headaches. 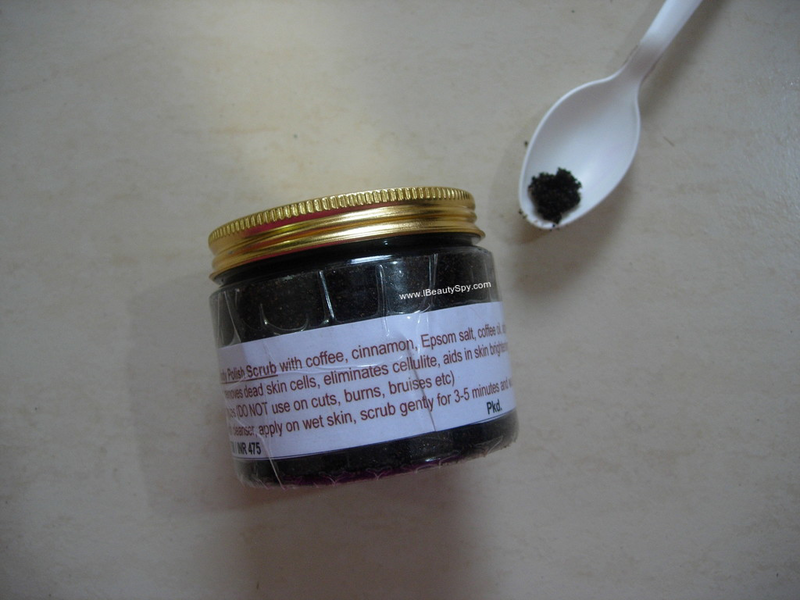 But do you know that coffee also has numerous skin benefits? 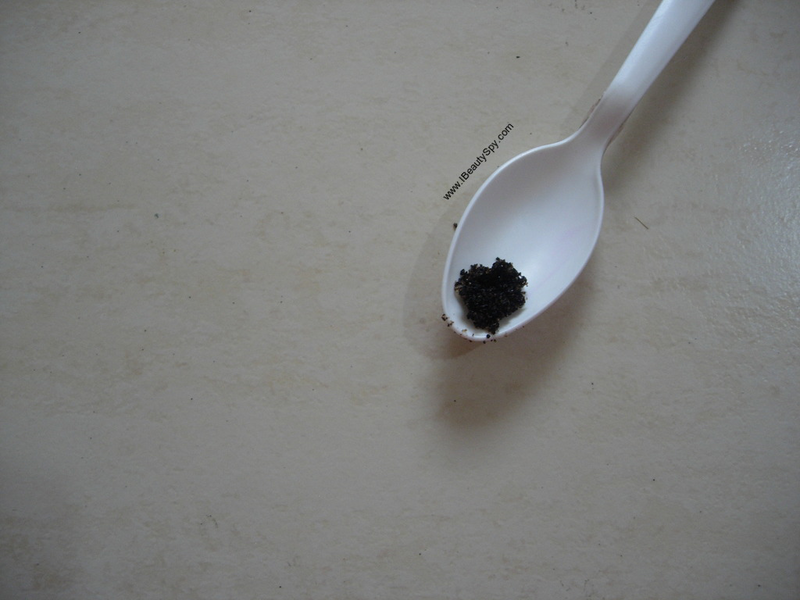 It is anti-aging, helps with cellulite and also brightens skin. 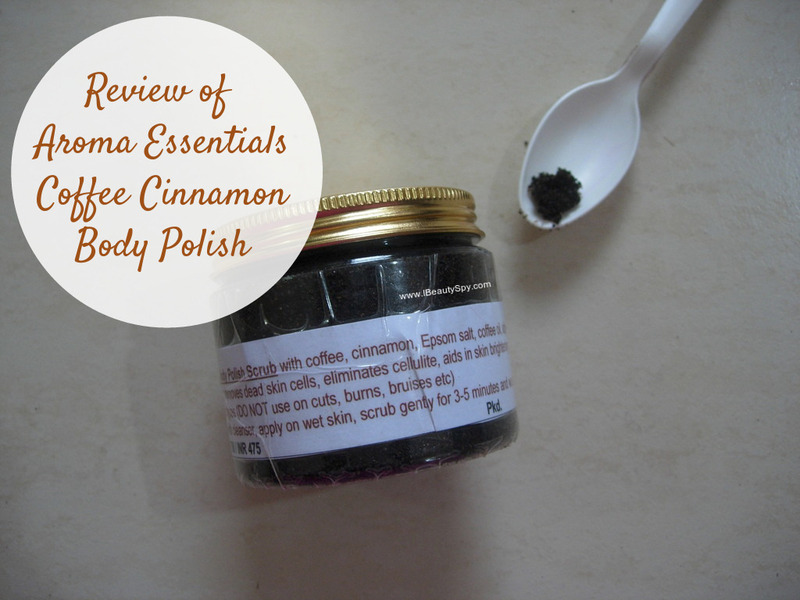 Aroma Essentials has a Coffee Cinnamon Body Polish which I will review today. Let’s see what it does. Aroma Essentials Coffee Cinnamon Body Polish looks dark coffee brown in color and has a fine granular consistency. It smells exactly like strong espresso coffee. The invigorating scent will sure awaken your senses while bathing and prep you up for a great day ahead. I scoop out 4-5 spoons of Aroma Essentials Coffee Cinnamon Body Polish into a small bowl which I carry to my shower. I don’t want to carry the big tub into my bathroom as moisture might damage the product. Since its a handmade product without any preservatives, I would request to follow the same precautions. I scrub and massage gently all over my body. 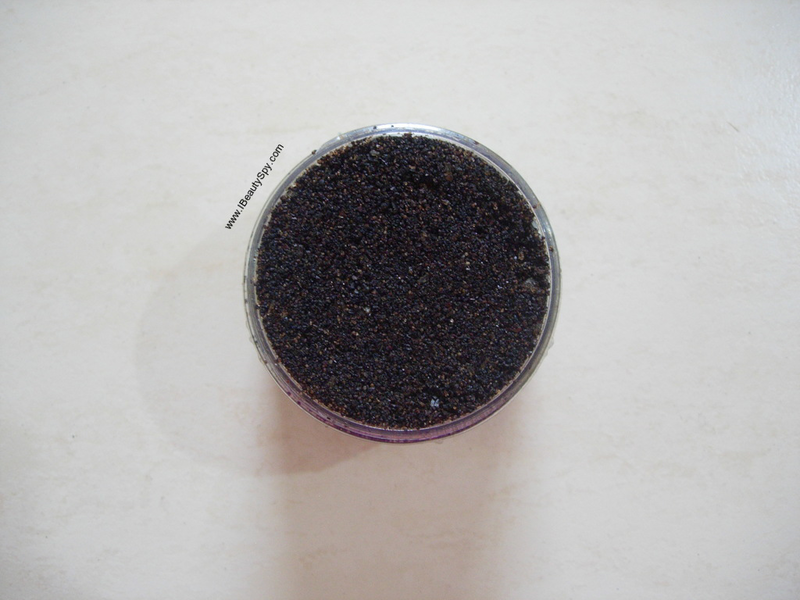 The granules are medium and perform the exfoliation job well. Aroma Essentials Coffee Cinnamon Body Polish helps removes dead cells and makes your skin smooth and soft. It also helps to remove fresh tan. Skin looks and feels polished, healthy, radiant. It doesn’t dry out skin much. But still applying a body oil after scrubbing is essential. You can pair it along with the Aroma Essentials Rose Quartz Post Bath Essence for more benefits like removing pigmentation and lightening skin. Sometimes when I have more time, I mix it with curd and use like a body mask too. The product has AHA which work best when left on skin for a longer time. I apply the mask on my hands and wash off after 15 minutes. My hands definitely look brighter. My skin also feels firmer due to anti-aging benefits of coffee. Aroma Essentials was one of the first brands I ventured into when I wanted to try natural, handmade products. And most of their products have worked well for me and shown visible results. Their products are made with well-researched ingredients which are proven to work. There was a time in my life when I used to do lot of DIYs at home. But nowadays I don’t have time for DIYs. And Aroma Essentials is the brand I turn to when I want natural, effective products for my skin. * Invigorating, awakening scent of strong espresso. 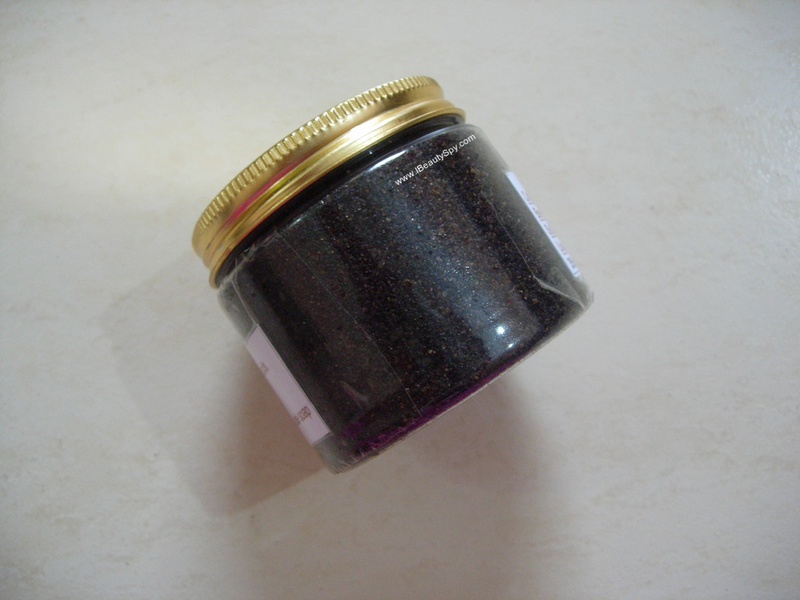 * Provides great exfoliation by removing dead cells and toxins. * Skin looks polished, smooth and soft. * Provides healthy glow and brightness. * Firms skin due to anti-aging effects of coffee. No. I wish to try other variants of body scrubs. Yes. You get a large jar which is going to last you pretty long. Aroma Essentials Coffee Cinnamon Body Polish is a nice, heavy-duty body scrub to keep your skin healthy and polished. And you get the anti-aging benefits and cellulite reduction as well. The aroma will awaken even the sleepiest person. Be careful, when opening this jar, you might awaken your roommate who is sleeping 😋 .